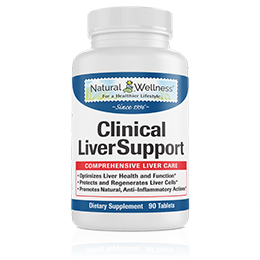 Comprehensive liver support formula, containing B & C vitamins plus 13 liver supportive supplements and nutrients to improve your liver's overall health and function. Detoxes, neutralizes and rids your liver and body of toxins. 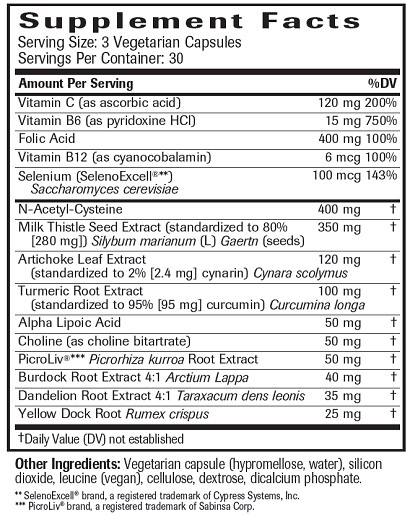 Helps reduce inflammation in your liver and throughout your body. Removes stress on your liver by improving bile flow and your digestion functions. 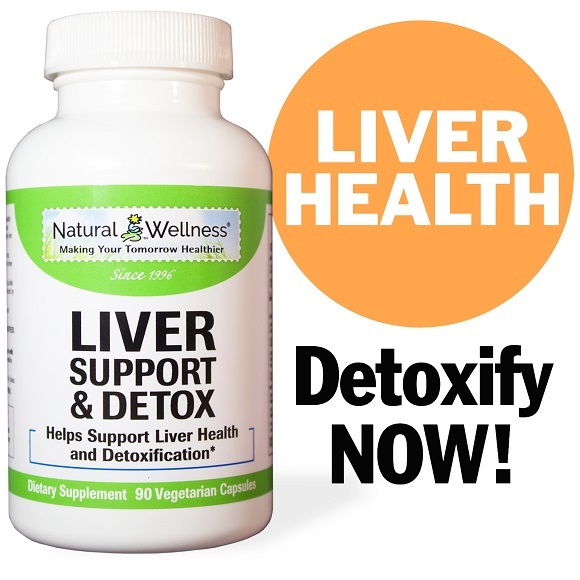 Liver Support & Detox is a combination of 15 vitamins, supplements and nutrients hand-picked to improve your overall liver health and function. 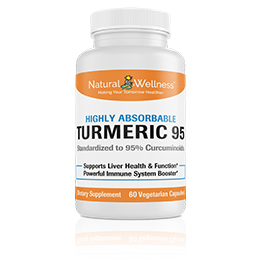 It is a comprehensive formula that provides a good level of total protection to address all your liver needs for those on a budget. 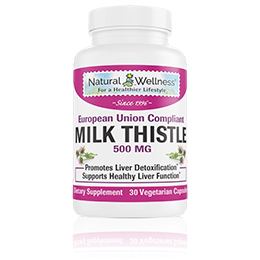 Milk Thistle - Milk thistle is the #1 recommended herb for liver health, documented in thousands of studies to improve your liver's health, generate new liver cells and to increase liver detoxification processes. Vitamin B6 - is essential for amino acid and glucose absorption in your liver. When not absorbed correctly in proper amounts, your liver works harder, blood sugar and energy levels are disrupted and fat accumulates in our liver which could lead to severe damage. Folic Acid, B12 and Choline – all nutrients that support healthy liver detoxification, the process that makes it easier for your body to rid itself of toxins. Choline also assists the liver in soaking up healthy fats, which reduces fat in your liver. Vitamin C – Studies have proven that a deficiency in vitamin C can lead to all kinds of liver issues. Alpha Lipoic Acid and N-Acetyl L-Cysteine (NAC) - Two very powerful antioxidants that have been proven to improve your liver detox processes. They are the only known supplements that increase glutathione levels in your body. Glutathione is your body's principal antioxidant that breaks down toxins so they can be removed from your body. Glutathione is produced in your liver. So those who have a liver that is not performing well will most likely have low glutathione levels. In addition, as we age our glutathione levels naturally decrease in our body. So supplementing with these two supplements is key to your health. Selenium as SelenoExcell® - Selenium plays a critical role in your liver's normal function, glutathione production by your liver, and in the breakdown of certain harmful toxins in your liver. The SelenoExcell® version of Selenium is 100% natural and organic and, due to its high absorption rate, it is utilized very quickly by your body and starts working faster than other selenium supplements. Picrorhiza – Derived from a plant, Picrorhiza has been proven to increase liver detox processes, regenerate damaged liver tissue, produce healthy liver cells and improve liver function. We included Picrorhiza from Sabinsa Corp., due to its premium quality of Picrorhiza. Artichoke – Supplementing with Artichoke helps in the production and flow of bile throughout your body. Bile is produced in your liver. If you have a liver that is not functioning well, it is most likely not producing enough bile on its own to help your body break down fats and remove toxins. Burdock Root, Dandelion and Yellow Dock – Have all been used as "cleansing" herbs to help support liver, gallbladder and kidney toxin elimination. They have also been proven to aid in inflammation, which is an underlying issue in every liver health concern. The liver is a very complex organ with a variety of functions. It plays a major role in the detoxification of bacteria formed inside the body as well as environmental bacteria. Detoxification mostly takes place in the liver, but it is a process that involves a number of different organs. The liver goes through two phases to get rid of toxins in the body. In phase 1, the toxins are changed into a transitional mix, which are then made safe by phase 2 enzymes making it easier for the body to get rid of the toxins. Toxins are either released through the bile or by the kidneys. Not sure whether it's helping or not, but I have experienced such severe diarrhea I'm considering not taking it anymore. 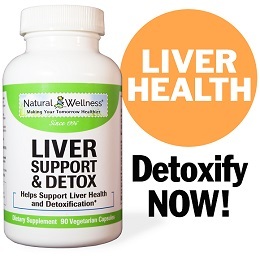 We're sorry to hear that you've been having this experience with Liver Support & Detox. This product does contain milk thistle, which has been known to cause loose stools for some people when taken at high doses. If this occurs, it is suggested to simply lower your dosage until the side effects subside. Great product! After just a couple of weeks, I began to feel better, sleep better, and have more energy. Works for me!! I believe these products help keep my Liver free from Cirrosis after I was diagnosed with Hepititis C. Thanks to natural wellness I was always able to order just what I needed. Results are generally difficult to measure with nutritional supplements, because they don't work the same way as medications, where you'll usually notice a difference quickly. Awesome stuff! And cheaper than its exact replica! Awesome stuff; the best listed here on amazon! I started noticing improvements the first day of taking it. It is an EXACT replica of the higher rated CulTao brand that also listed, but is CHEAPER! Go ahead and compare the ingredient label to find out for yourself! May as well buy this one instead! I just received this product for the first time and I am using it every day. It is too early to tell whether it will help make my liver healthier, however I am impressed with all the reviews I read. 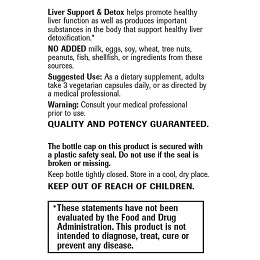 We're sorry that Liver Support & Detox didn't meet your expectations. If we may ask, what sort of results were you hoping for and for how long did you take it? Many people expect to see immediate results with nutritional supplements, but they don't work in the same manner as a medication and results are not instant. 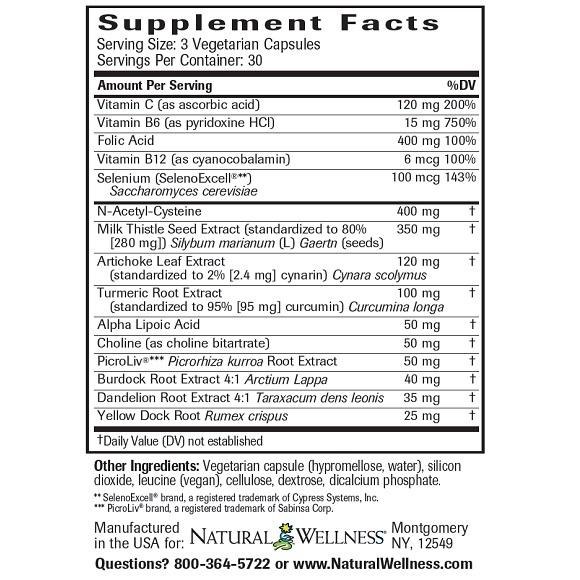 Supplements provide benefits that grow over time. The amount of time before seeing or feeling results will vary for each individual, however you might not necessarily see or feel these results right away. As with any supplement, results are based on consistent and continued use. To ensure that you gain maximum benefit it's imperative that you take supplements as recommended on a consistent basis. Good for short term needs, not a long term product. I have more energy and I just feel better all around. 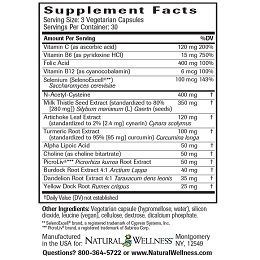 As a dietary supplement, adults take 3 vegetarian capsules daily, or as directed by a medical professional. Not recommend for those with bile duct obstructions or gallstones due to the artichoke contained in the product. 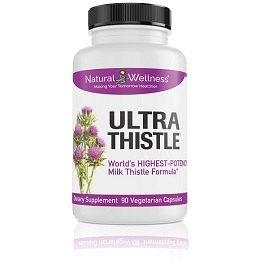 Milk thistle (silymarin) may reduce the effectiveness of oral contraceptives, therefore backup birth control methods should be used while taking any products containing milk thistle. 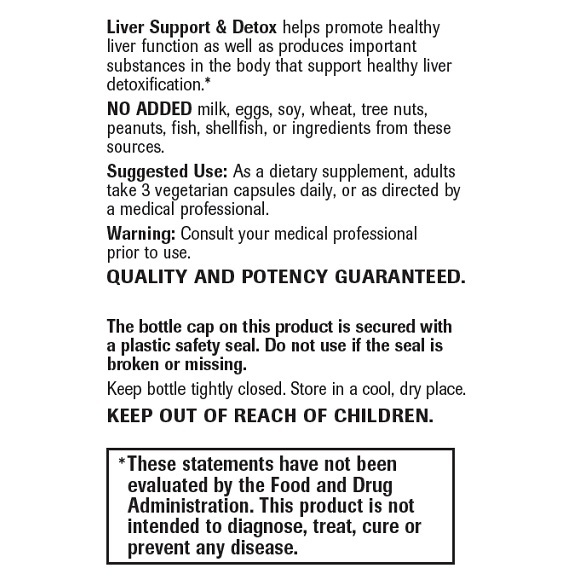 Liver Support & Detox is MANUFACTURED in the USA to meet FDA strict current Good Manufacturing Practice regulations (cGMP).